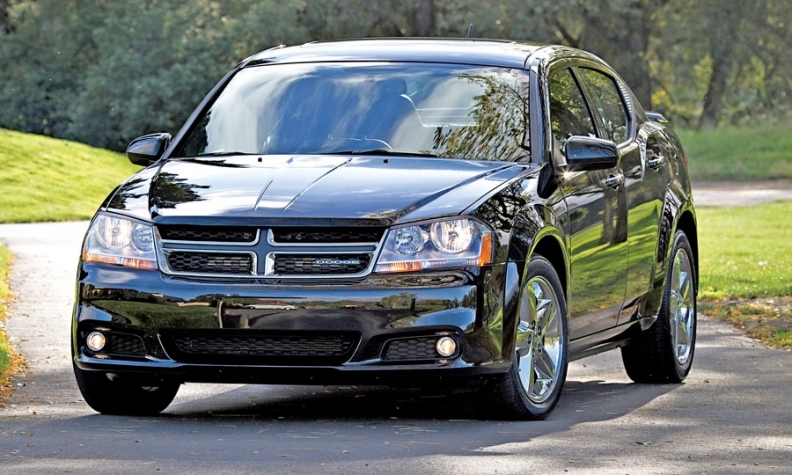 Nearly four of 10 Dodge Avenger buyers have loan rates of 10 percent or higher, which Edmunds considers subprime. The dramatic comeback of subprime loans has helped the entire industry recover from the recession, but easier credit has returned like an old friend to Chrysler Group. In the first quarter of 2012, 29 of every 100 new-auto loans for Chrysler vehicles have been to consumers with credit scores below 680, says credit agency Experian Automotive. Experian considers scores below 680 subprime. For comparison, only 16 percent of auto loans for Chrysler were subprime during the height of the recession in the second quarter of 2009, Experian says. Chrysler Group dealers say lenders' willingness to finance subprime customers is fueling the automaker's current string of 26 months of sales gains. "It almost feels like we're back to where it was in its heyday," said Josh Towbin, co-owner of Towbin Automotive, which has nine franchises among its five Las Vegas stores, which include two Chrysler-Dodge-Jeep-Ram stores and a Fiat studio. "You can even get some of the rougher stuff done now -- people with foreclosures and past foreclosures. Banks seem to understand that now, where they wouldn't before." It's difficult to quantify how much easier credit has fueled Chrysler's comeback because a renewed product lineup and sharper advertising have helped, too. But Chrysler has traditionally relied on sales to customers with weak credit, and more of those customers now are qualifying for loans. "A lot of it is just being able to sell to our old customers again, the folks who bought from us in 2007 and 2008" with subprime credit "and need a new vehicle," says David Kelleher, chairman of the Chrysler National Dealer Council and the owner of David Dodge in suburban Philadelphia. He also says many subprime consumers -- most of whom were hurt by the recession -- are recovering financially just as Chrysler is. Edmunds.com says that through mid-May, almost 21 percent of Dodge sales reported by dealers were to consumers paying annual interest rates of 10 percent or higher on loans that now average a term of 71 months. Edmunds considers 10 percent interest as the starting point for higher rate subprime loans. Lenders charge subprime customer higher rates to balance the higher risk of defaults. Through mid-May, nameplates with the highest percentage of purchasers with loan rates of 10% or higher, which Edmunds considers subprime. For comparison, in the same period, 8 percent of all auto loans carried interest rates of 10 percent or higher, Edmunds says. Through May, Chrysler Group's sales in the United States are up 33 percent to 689,257 units, well ahead of the industry's 13 percent gain. A Chrysler spokesman said the automaker would not comment on the lending data because the transactions take place between the automaker's customers and their lenders. Experian, which tracks auto lending, says subprime lending industrywide has nearly returned to its pre-recession levels. Among the top 6 automakers in the U.S., Hyundai-Kia had the highest percentage of customers with credit scores below 680 in the first quarter of 2012. Automakers rely on subprime loans to varying degrees. American Honda's percentage of subprime loan originations in the first quarter was just over half of Hyundai-Kia's percentage, for example. Among the Detroit 3, Ford had the lowest percentage, Experian said. Unlike many other automakers, Chrysler doesn't own a captive finance arm. Instead, it relies on financial partners such as Ally Financial, Chase Auto Finance and TD Auto Finance -- Chrysler's top three consumer lenders, Experian says -- to provide credit to consumers through its dealers.